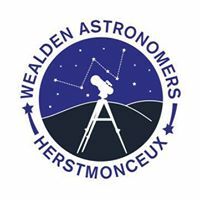 The Next Meeting of the Wealden Astronomers will be at Herstmonceux Village Hall on Friday 29th September 2017 and thereafter on the fourth Friday of every month. Please note there is no meeting in December 2017. If you have a Telescope or Binoculars bring them along and if the evening is clear we will do some viewing. If you need help with your telescope our members are only too willing to help you. See WAS Events for list of meeting dates.